In 1941, the Imperial Japanese Navy (IJN) went to war with a marginal anti-submarine warfare (ASW) capability. This was a lamentable state of affairs for a nation dependent upon imports to sustain its war economy. There were only a few purpose-built ASW escorts available at the start of the war and these were augmented by a handful of second-class destroyers and a dozen torpedo boats. Once the magnitude of the threat to Japan's shipping became fully apparent in 1943, the IJN made plans for mass production of ASW escorts. These arrived in 1944, but could not stop the massacre of Japanese shipping by increasingly bold and effective American submarines. 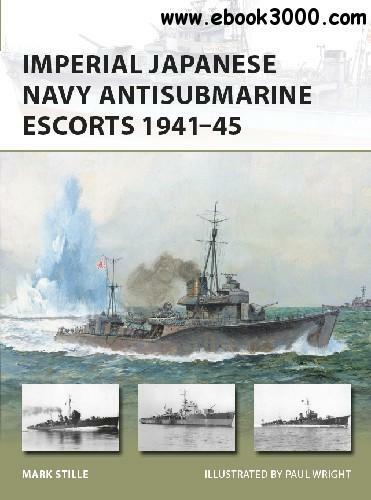 This volume will detail the history, weapons and tactics of the IJN's ASW escorts. These include the Momi class of second-rate destroyers, the Tomodzuru and Ootori classes of torpedo boars, and the several types of ASW escorts built from 1937 up to the end of the war.